This summer, I studied abroad in a little town in France called Tours. Every morning for breakfast, I ate three pieces of crustless white toast (it comes crustless in the package! It amazed me for some reason) smothered in Bonne Maman blackberry jam. This is a jam we have in the US, but it was only in France where I ate it on a daily basis and fell completely in love with it. AND….I finally ate it again. I don’t know why it took me so long. Breakfast brings me so much joy. Even bowls of cereal make me excited to sleep at night. 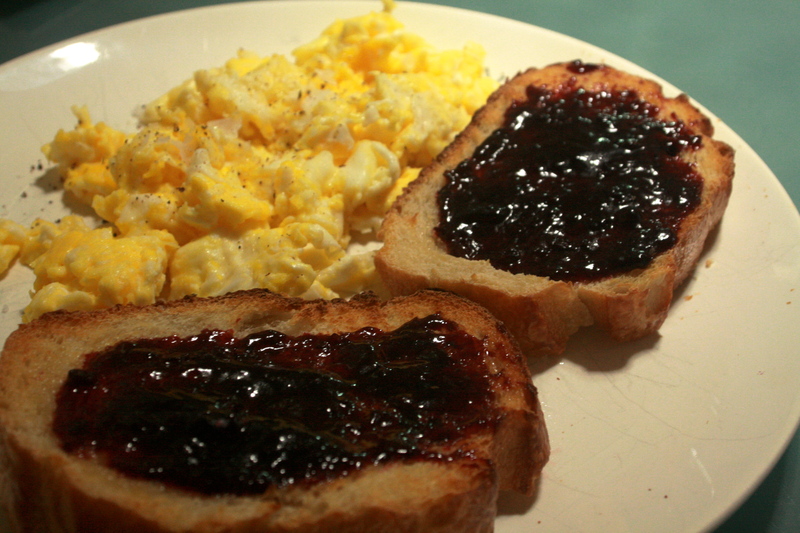 Scrambled eggs and toast isn’t a particularly opulent breakfast, but it still feels a bit fancy to break up the routine, especially with the addition of my favorite jam in the whole world on toasted sourdough. 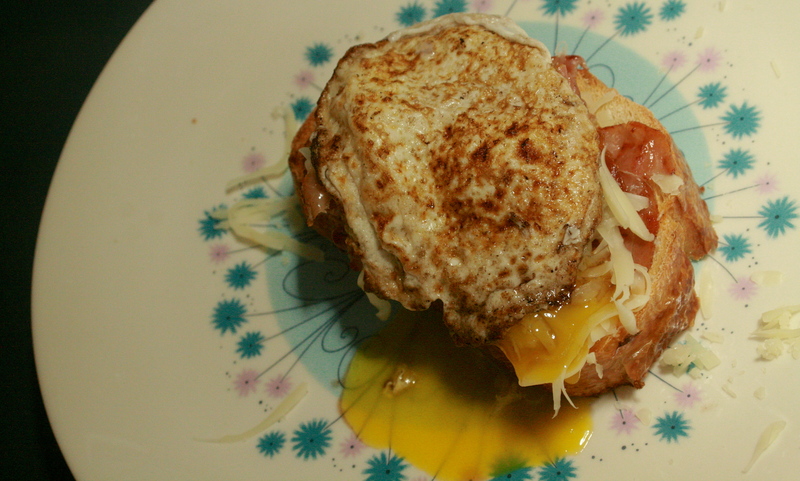 For lunch, I did a bit of an open-faced sandwich on that same sourdough with prosciutto, mozzarella, and a fried egg. I wish my fried egg was a bit more photogenic, but that will come with practice, I suppose.